There has been a change of allegiance in our home. 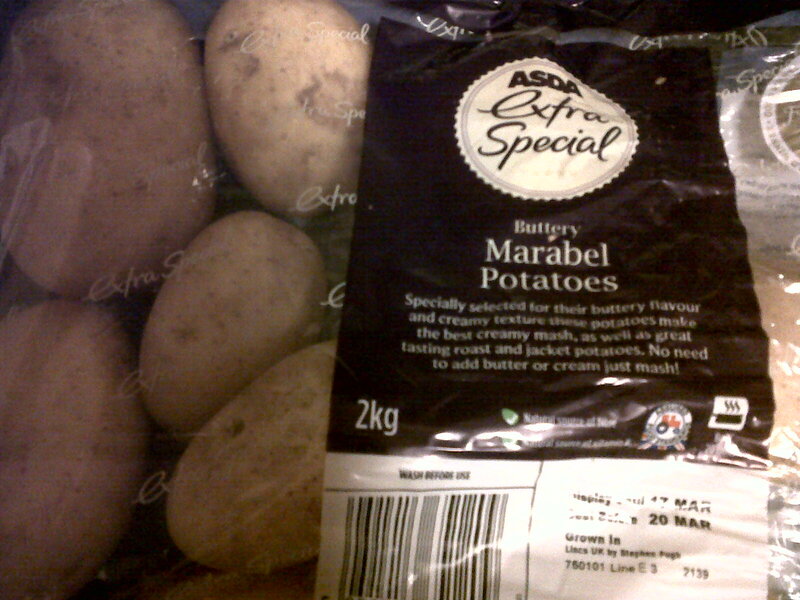 We once swore by the King Edward, but his throne has been usurped by the beautiful and buttery Marabel potato. What you can't see is that the last line of the small print says: "No need to add butter or cream - just mash!" "It offers an exceptional, fine sweet flavour with a creamy texture so you don’t have to add butter. This makes the Marabel a key staple ingredient in any healthy diet." Their website is kind of awesome. It is dedicated to potatoes: http://www.albert-bartlett.co.uk. If you have time, I really hope our bag of Marabels came from Douglas & Alexander Richardson's farm. http://www.albert-bartlett.co.uk/farmers He's got great hair, or as my friend Morgan would say, "great flow". 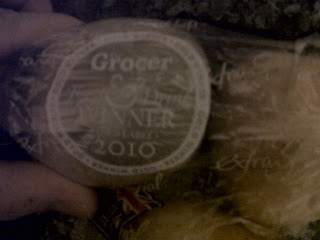 Award winning potatoes? Need it, want it, love it. My heart is won over by the Marabel potato. May she flourish in the fields of this great nation. i'm so jealous! stupid idaho potatoes. these sound awesome. It's truly sad what we've come to know as "potatoes" in North America (save those handful of preservationists who have kept up with the heritage varieties). Apparently, when North America was first settled by Europeans, we had something over 300 varieties of spuds; look around a typical Canadian grocery store these days, and you find what... four? If you're lucky! You'll need to bring/send some seed varieties home when you're all done there. Give up nursing all together and become a spud farmer, G! I'm kind of a Pioneer. One More Step Towards Britishdom: Laundry.